Kelli Leighton is the founder and Artistic Director of the Sacramento region’s premier dance company, CORE Contemporary Dance, which launched in 2007. In 2009, Kelli’s work “Living for Today” was awarded “Audience Favorite” at the Vision Series 10th Anniversary performance in San Francisco, and was well received at the MAD/BAD Performance and Film Festival in Concord, CA. Kelli Leighton created the first commissioned dance work for the Crocker Art Museum in 2011, based on the work of Gottfried Helnwein. CORE performed her piece “Doll” at the International White Wave Dance Festival in NY, September 2011. Kelli Leighton was awarded 2nd place at the International Choreographer’s Competition 2012 in Pittsburgh, PA for her work “Home”. Kelli was also a finalist in the 2013 for professional division with CORE and winner for pre-professional division with LDP Students in 2016 at Choreography Competition in Palm Desert, CA. In 2013 Kelli opened Leighton Dance Project, a performing arts center educating over 400 students; all dance forms ages 2-adult. Kelli has been the recipient of several choreography awards at regional and National competitions with her LDP students. Kelli was awarded Dance Educator of the Year for the Sacramento region, 2012 & 2013. LDP was awarded Best of Sacramento, Dance Studio category; 2014 & 2015. Her students have gone on to dance professionally across the county and have attended top colligate programs. Kelli finds inspiration in the human experience and in the bonds that people form through movement. Her vision for CORE and LDP is to promote a healthy professional environment where dancers of all experiences come together to inspire each other and enrich their surrounding community. She is most proud of her extensive work in the community outreach programming through CORE. Kelli’s unique athletic contemporary style along with a contagious passion and energy for dance has made her one of the most sought after master teachers and choreographers. Lillian Barbeito is the Co-Director of BODYTRAFFIC. She has a BFA from The Juilliard School where she studied on a 4 year, full-tuition scholarship awarded by Tomorrow’s Leaders of America. Lillian is one of 28 people in the world who is certified to teach Anouk Van Dijk’s revolutionary Countertechnique. She leads BODYTRAFFIC’s extensive outreach and education program that provides training opportunities for pre-professionals and customized dance experiences for underserved populations around the globe. In addition to directing BODYTRAFFIC with Tina Berkett, the most fulfilling parts of Lillian’s life are her marriage to filmmaker Grant Barbeito and her two boys, Oliver and Forest. She is currently on faculty at Loyola Marymount University. Founded in 2007 by Lillian Barbeito and Tina Finkelman Berkett, BODYTRAFFIC has surged to the forefront of the concert dance world, recruiting great talent from around the globe to create world-class contemporary dance by distinctive choreographic voices. Current touring repertory includes works by MacArthur Fellow Kyle Abraham, Sidra Bell, Stijn Celis, Anton Lachky, Barak Marshall, Joshua L. Peugh, Arthur Pita, Victor Quijada, Gustavo Ramírez Sansano, Hofesh Shechter and Richard Siegal. Named “the company of the future” by The Joyce Theater Foundation, Dance Magazine’s 25 to Watch, and “Best of Culture” by The Los Angeles Times, the company is internationally recognized for their high quality of work. The Los Angeles Times says BODYTRAFFIC is “one of the most talked-about young companies – not just in LA, but nationwide”. Ms. Hadley was a principal dancer with the acclaimed Mark Morris Dance Group for whom she danced numerous original roles in such works as L’Allegro, Dido and Aeneas, and Mythologies. A company member in Senta Driver’s HARRY for four years, she also performed Meredith Monk’s opera Quarry. She served as Rehearsal Director for Baryshnikov’s White Oak Dance Project, Mark Morris’ The Office, and the Morris production of Platee at the Royal Opera and Lincoln Center. Ms. Hadley has created new work for Hubbard Street Dance Chicago, Repertory Dance Theatre, American Repertory Ballet, BalletMet, Ballet Pacifica, Ballet Memphis, Contemporary American Theatre Company, OSUDance and Drums Downtown. She has received multiple choreographic fellowships from the National Endowment for the Arts, The New York Foundation for the Arts, and The Ohio Arts Council. Her work has also been supported by the Wexner Center for the Arts, Greater Columbus Arts Council, New York State Council for the Arts, and Choo San Goh and H. Robert Magee Foundation. 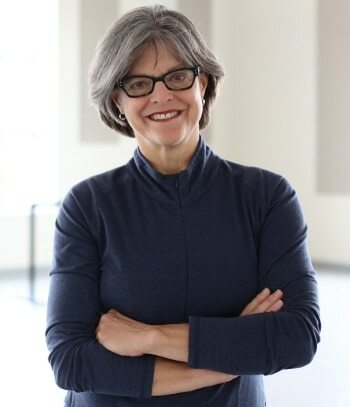 Recipient of the 2002 OSU Colleges of Arts and Sciences Outstanding Teaching Award, the 2006 OSU Alumni Award for Distinguished Teaching, and the 2014 Ratner Award for Distinguished Teaching, Hadley teaches modern dance and ballet, dance composition, music and choreography, repertory, and dance pedagogy. She has adjudicated seven American College Dance Association regional festivals. After 25 years on the faculty, Professor Hadley currently serves as Chair of the renowned Department of Dance at The Ohio State University. Pennington is the Artistic Director of the Pennington Dance Group (PDG) and A Room To Create (ARC) Pasadena. He serves as the Co-Director and reconstructor for the Lewitzky Dance Gallery and serves on the Theater and Dance faculty at Pomona College and on the dance faculty for Joffrey West, Perry-Mansfield, and Cal-State University Long Beach. Pennington enjoyed a 14-year career with the Bella Lewitzky Dance Company as a performer and master teacher. He then went on to be a guest artist, independent choreographer and arts educator before establishing his own award-winning dance group in 2000. The PDG has presented work nationally and internationally and most recently in the United Kingdom and Germany. The PDG is planning a return trip to the U.K. in 2015 along with performances and activities in China, Taiwan, Singapore, and Hong Kong. Educated at Northwestern University, California Institute of the Arts (BFA), and Hollins University (MFA), Pennington’s dedication to education includes workshops and curriculum development for the Los Angeles Unified School District, Huntington Museum, Fowler Museum, MOCA, Armand Hammer Museum, and Fullerton Museum. He served as an Annenberg Scholar in Dance Education for Inner City Arts LA and served on the Board of Directors for the Los Angeles Dance Resource Center, and the Artist Committee for Dancers Responding to AIDS. Pennington has been a grant panelist for the Irvine Foundation, Los Angeles County Arts Commission, Los Angeles Cultural Affairs, CHIME, The Music Center Spotlight Award and Standing on the Edge Choreography Competition. Pennington is the recipient of several grants and awards from the Princess Grace Foundation, California Community Foundation, Goethe Institute, Durfee Foundation, Dance USA, Los Angeles County Arts Program, Pasadena Cultural Affairs Grant, and a HOTHOUSE choreographic residency. He is honored to be the recipient of five Lester Horton Awards for achievement in dance including the award for Excellence in Teaching. He received a Backstage West Garland Award, and a L.A. Weekly Theater nomination for achievement in choreography. Most recently, his oral history essay was featured in When Men Dance: Choreographing Dance Across Borders edited by Jennifer Fisher and Anthony Shay, published by Oxford University Press. Pennington will also be highlighted in an upcoming film documentary Men Dancing. Daniel began his dance career in California at the San Diego Creative School of Performing Arts. Soon after Graduation, he went to New York to accept a scholarship at the Alvin Ailey American Dance Theater. By 1997, Daniel became Artistic Director of the San Diego Contemporary Dance Ensemble. During this time he set several pieces including “Blessed Assurance” which received the 1997 Tommy Award for Best Male Performer/Choreographer. In 1999, become a member of the Dayton Contemporary Dance Company, and become one of the premiere dancers. In 2001 Dance Magazine named Daniel one of its “25 to Watch”. Daniel has set ballets for Dayton Contemporary Dance Company, Vineland Regional Dance Company, Ballet Yuma and South Dayton Ballet. Daniel Received National Choreography Award NE in 2002 along with being a finalist in Dancing Under the Stars in Palm Desert and San Diego’s Young Choreographer’s Competition. In 2006, Daniel set work on San Diego Dance Theater and directed “Cats” the musical for San Diego Junior Theater. Mr. Marshall has recently been awarded Best Choreography Awards from Hollywood Vibe (2011) in Los Angeles and Dance America (2011) in San Diego. Dance America also awarded Mr. Marshall Teacher’s Choice. Best Technical and Overall Performance. He remains the Artistic Director of LaDiego Dance Theater. Dance to me has always been a vessel for communication because of its limitless boundaries and barriers. This very idea was the impetus for me becoming a choreographer and teacher. My teaching style consists of a mixture of personal experiences and delicate influences of all things visually and mentally stimulating. By stretching beyond the line and design concepts the dancers are challenged to explore new pathways and levels of movement. I strive to enlighten and while continuing to breathe life into the dance community. Originally from Bristol, Tennessee, Traves Began his dance career at Virginia Intermont College where he graduated in 1991 with a BSW and concentration in dance. After college, Traves studied at the Hartford Conservatory where he was a company member of Sonia Plumb Dance Company. He also worked with members of Pilobolus and Momix. Following this training, he performed at Jacob’s Pillow with Bludance Theatre and throughout North Carolina with both Greensboro Ballet Company and High Point Ballet Company. In 1999, shortly after graduating from the University of North Carolina with a MFA in choreography, Traves founded Butterworth Dance Company. Traves has taught and choreographed at the professional level extensively. In addition to his independent projects, Traves serves as Artistic Director of Butterworth Dance Company. Over the past 13 years, Traves has presented work in Hawaii, Pennsylvania, California, New York, North Carolina, Nevada, Arizona and internationally in Mexico. Darryl and Valerie Bergman are the Artistic Directors of the Rainbow Dance Theatre which tours throughout the world, performing in Europe, Asia, the United States, Canada, and Mexico to widespread critical and popular acclaim. At the invitation of the United States Pavilion, the Company presented four performances at the 2010 World Expo in Shanghai, China. Other international festival performances include the Second International Dance Festivals in Taegu and Pusan, South Korea, the 2005 World Expo in Nagoya, Japan, the 5th and 9th Concurso Continental de Danza Contemporanea in Mexico City, D.F., Dance Tanz in Osaka, Japan, IAS Festival in Bangkok, Thailand, Men Dancing and Cultural Slam in Honolulu, Hawaii, the World Expo in Seville, Spain, and the 2006 National ACD Festival and the 2004 International VSAarts Festival both held at the John F. Kennedy Center for the Performing Arts in Washington, DC. In addition, Rainbow Dance Theatre tours throughout the continental United States as a member company with Arts Northwest on Tour. As a roster company with Young Audiences, RDT performs for over 15,000 Oregonand Washington school children per year. In 2005, RDT began an international residency program which has included residencies in Singapore, Thailand, Mexico City, DF, the Philippines, Taiwan, El Salvador and Costa Rica. The Company and its Artistic Directors have received numerous grants and awards including those from the National Endowment for the Arts, The Kennedy Center for the Performing Arts, the Oregon Arts Commission, the Hawaii State Foundation on Culture and the Arts, Atherton Family Foundation, Fred Meyer Foundation, Persis Corporation, and MJI Broadcasting. Lorelei is a choreographer, performer, educator, and dance advocate. She has created original works since 1991 and has been presented throughout New York City and nationally in venues such as DanceNOW/ NYC Festival, Dumbo Dance Festival/ NYC, Women Center Stage Festival/ NYC, Florida Dance Festival, Tampa Museum of Art, Crocker Art Museum, and the San Francisco Fringe Festival. From 2007-2010, she was Co-Artistic Director of the acclaimed Sacramento-based, Dangerous Lorraines Dance Theater with dance artist Melissa Wynn. Lorelei began dancing in Tampa, at the University of South Florida with William Hug, Lynne Wimmer, Gretchen Warren, Sandra Robinson, and Gary Lund, where she earned a BA in Dance. She then taught and performed on the East Coast with Philadelphia-based, Melanie Stewart Dance Theatre and Karen Bamonte Danceworks, and during her 14 years of professional work based in New York City, she performed with Elizabeth Streb, Clarinda MacLow/ cml performance group, FREEFALL/NYC, and many independent dance makers. She has had the pleasure of performing in the works of 20th century dance notables Jose Limon, Mark Morris, Ann Reinking, May O’Donnell, and Mark Dendy. She has an MFA in Dance from New York University’s, Tisch School of the Arts where she studied with Deborah Jowitt, Gus Solomons Jr., Phyllis Lamhut, Linda Tarnay, Kathy Grant, and Andy Tierstein. Randee is a San Francisco Bay area based dancer, choreographer, and movement educator with extensive commissioning, teaching and performing credits on both coasts. Randee is the Artistic Director of the acclaimed Paufve Dance Company, now in its 10th year: “…Precise and full-bodied…Ms. Paufve’s choreography does not fit any of the stereotypes about laid-back California or hyper New York dance” (Jennifer Dunning, New York Times). A four-time Izzy Nominee (the prestigious west coast Isadora Duncan Dance Award), and recipient of numerous grants, Randee has also been awarded multiple choreography residencies at the Djerassi Resident Artists Program and Shawl-Anderson Dance Center in California; the Ucross Foundation in Wyoming; and the Red Cinder Creativity Center in Hawaii. Paufve Dance has been presented in the bay area by Summerfest/Dance, West Wave Dance Festival, Dancer’s Group Studio Theater, San Francisco Museum of Modern Art, Theater Artaud, ODC Theater and UC Berkeley; by MAX10 in Los Angeles; in Portland, by Portland Institute for Contemporary Art, Lewis and Clark College and Conduit Theater, and by Seattle’s On the Boards. Paufve Dance was the first dance company to be produced by UC Davis’ Dancing on the Edge series, with inaugural performances at the Mondavi Performing Arts Center. PD has toured nationally with multiple performances produced by Joyce Soho Theater in Manhattan, Spoke the Hub in Brooklyn, The Dance Complex, in Boston, Elmira College in New York State and by the Phantom Theater in Vermont. Randee’s commissioned works for college and university dance companies have been continually selected for performance at American College Dance Festivals; in 2003, her work for the Saint Mary’s College Dance Company was selected for the ACDF Gala Performances. Tandy Beal is a performer, director, choreographer, writer, teacher and … dreamer. As Artistic Director for Tandy Beal & Company (‘71-present) and Pickle Family Circus (‘92-2000), she has created 20 full-length shows and approximately 100 shorter works that have toured 48 states and 4 continents, including a fully funded USIA tour of Eastern Europe and of Japan sponsored by Japan US Friendship Commission. She also wrote, directed and choreographed Viva! for Moscow Circus which ran for 2 years in Japan. Film /TV: emmy award winning PBS special with Bobby McFerrin; Burton’s The Nightmare Before Xmas; Thomas Moore’s TV series Everyday Spirituality; PBS series Roots in the Aether; staging Voicestra on Arsenio Hall and Today shows; video on Hildegard von Bingen for American Film Institute; dances produced for national TV stations of Japan, Hong Kong and Switzerland. Staged Commercials for Nissan and Bonny Doon Winery. Awards: American Council on the Arts dance artist of the year, Dance Bay Area’s Innovation Award, special commendations from California State Legislature, numerous NEA grants in theater and dance, Japan-US Friendship Commission, American Film Institute, National Choreography Project. Her current work includes: Mangia del Arte a fundraising extravaganza, Song Circus, and HereAfterHere: a self-guded tour of eternity, is about what people think happens after we die & includes interviews, abstract video, actors, dancers and original music and text. Her program ArtSmart reaches 10,000 children in schools each year. Claire Porter is a writer, dancer and choreographer who has performed in Scotland, Germany, Holland, Latvia, Korea and India and in the US at The Joyce Theater, Town Hall, American Dance Festival, Lucille Ball Comedy Festival, Bates Dance Festival, Jacob’s Pillow Dance Festival, Florida Dance Festival and The Kennedy Center with the American College Dance Association. Porter is a Guggenheim Fellow 2013 and has received NEA Choreography Fellowships, NJ State Council on the Arts Choreography Fellowships, NewMusicUSA Awards and Mid-Atlantic Choreography Fellowships. She choreographs for her PORTABLES and other dance companies and teaches Movement Analysis for NYU and Manhattanville College. Donald McKayle, recipient of honors and awards in every aspect of his illustrious career, has been named by the Dance Heritage Coalition as “one of America’s Irreplaceable Dance Treasures.” His choreographic masterworks, considered modern dance classics: Games, Rainbow Round My Shoulder, District Storyville and Songs of the Disinherited, are performed around the world. He has choreographed over ninety works for dance companies in the United States, Canada, Israel, Europe and South America. The Alvin Ailey American Dance Theater, the Cleo Parker Robinson Dance Ensemble, the Dayton Contemporary Dance Company, and the Lula Washington Dance Theatre serve as repositories for his works. He is the Artistic Mentor for the Limón Dance Company. Twelve retrospectives have honored his choreography. In April 2005, Donald McKayle was honored at the John F. Kennedy Center in Washington, D.C. and presented with a medal as a Master of African American Choreography. Five Tony Nominations have honored his choreography for Broadway musical theater: Sophisticated Ladies, Doctor Jazz, A Time for Singing, and for Raisin, which garnered the Tony Award as Best Musical, and for which he received Tony nominations for both direction and choreography. For Sophisticated Ladies, he was also honored with an Outer Critics Circle Award and the NAACP Image Award. His most recent choreography for Broadway was showcased in It Ain’t Nothing But the Blues, which earned a Tony nomination for Best Musical. He received an Emmy nomination for the TV Special Free To Be You and Me. His work for film included Disney’s Bedknobs and Broomsticks, The Great White Hope, and The Jazz Singer. For his work in education, he earned the Balasaraswati/Joy Ann Dewey Beinecke Endowed Chair for Distinguished Teaching, UCI’s Distinguished Faculty Lectureship Award for Research, and he is a recipient of the UCI Medal, the highest honor given by the University of California, Irvine. In 2010 he received the Lifetime Achievement Award from the California African American Museum. He established the UCI Etude Ensemble in 1995, a dance company for which he is Artistic Director and for whom he choreographed over twenty new works. His most recent work, Uprooted pero Replantado, (which premiered in Dance Visions 2015) dealt with immigrants and their condition, continuing the thread of deep involvement through his choreographic work in the issues of humanity.